As a senior or graduate student, do you sometimes feel like you can’t decide which job board to use or have no clue about how to create a professional resume? There are so many job boards out there, such as Linkedin and Indeed. Some might prefer Indeed’s enormous database while others prefer Linkedin’s high-level network. 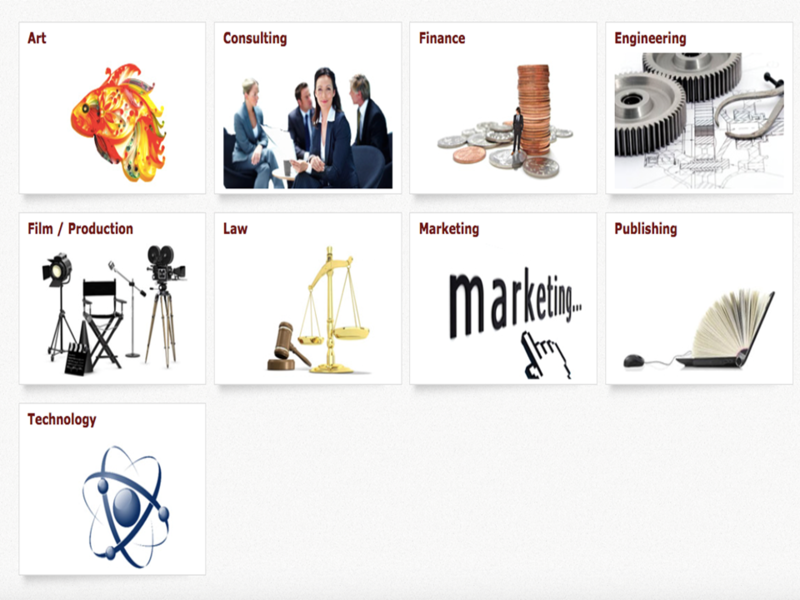 In the meantime, most schools also have their own career services for students in specific industries. Of course, we don’t have time to use every one of them. Choosing the one that best fits your needs is the key to your job search. I’m using a new job searching site called Zoomdojo.com. The founders of this website – Carol Ratray and Ritu Banga – are both immigrants. Ritu had experience working in the education field and mentoring students. The original intention for building this website is to help immigrants and first-generation students find internships and their first job. Let me share how hard it is to get a job, or even an internship, if you’re an international student or a new immigrant. According to a recent survey, immigrants and first-generation students are at a 12% national unemployment rate compared to the national average of 5.6%. Therefore, a job site for this group is definitely a great idea. Let’s take a look at how this website works. Zoomdojo‘s overall layout is really user-friendly and concise. There are 6 sections on the front page which are clear and detailed. Viewers can enter into different sections according to their preferences, which will shorten the searching time. There is a section of “Just Posted Jobs” below the six sections. The number of newly posted jobs is 22,544 when I captured the screen on a Sunday. I think this number is kind of good for a job board. I receive new information every day after starting my journey on Zoomdojo.com. For example, the database and search engine are awesome. The database provides job information from the most popular cities globally. Global opportunity is one of the distinctive characteristics of Zoomdojo. As the founders and mentors of Zoomdojo, Carol Rattray and Ritu Banga have always encouraged everyone to search for opportunities globally so one can experience different lifestyles and work cultures. They insist that looking widely and outside your major is important for young people because they never know what will happen and what kind of opportunity is the best without giving it a try. For example, Ritu thinks that students who studied Art History can totally step into the industry of media and technology, working at Youtube and or developing Google apps. Here’s how to get started to apply for positions using the powerful search engine. It’s extremely easy to get an account on this website. Only name, email address and password are needed. And there’s no requirement on the password, such as a capital letter or numbers. A resume is definitely the prerequisite to your job search, like the foundation to a building. No one knows how to build a fantastic resume for the first job. On Zoomdojo.com, you will never worry about this because Zoomdojo has the most powerful resume creator I’ve ever used. Unlike other job boards which provide forms for users to fill out themselves, the resume creator of Zoomdojo can generate automatically according to your keywords. So you’ll never feel you have nothing to write anymore with the help of Zoomdojo. 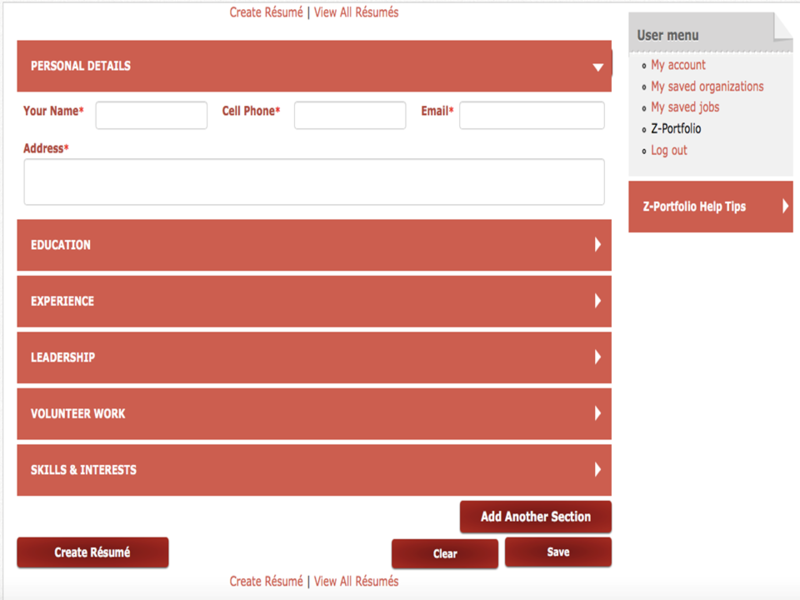 The following is how to build the resume on Zoomdojo.com step by step next. Building a resume is simple compared to other websites. There are 6 parts: personal information, education, experience, leadership, volunteer work and skills & Interests. There will be instructions on the right side of the page for each section when you click it. So don’t worry about how to fill out these forms if this is your first time. Like me, you may not know how to fill out the Skills & Interests part, but on Zoomdojo.com. this section is divided into Languages, Computer, Other Skills/ Activities and Other Awards & Honors. Generally speaking, it’s easy to use Zoomdojo.com for the first time. 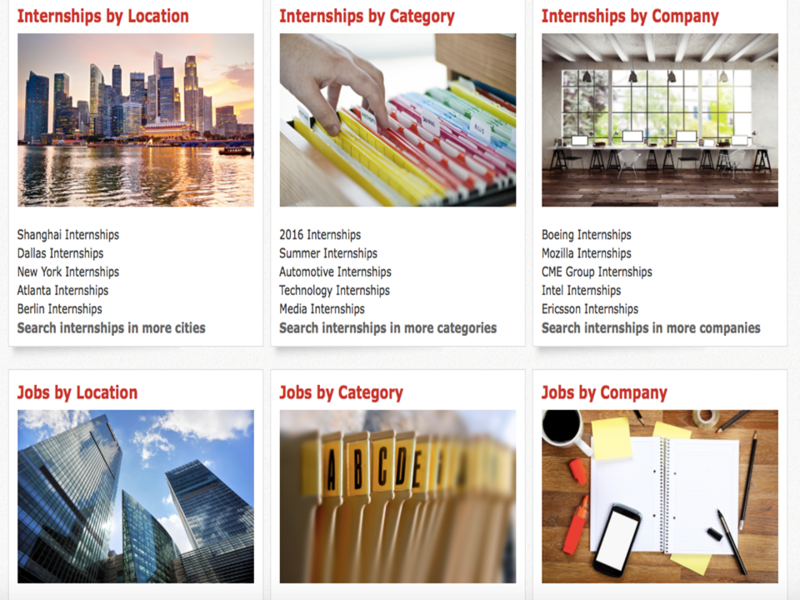 Wherever you want to search, locations or job categories, you can always find start with your resume. There are some express entrances for job hunting. For example, there is a section on the front page called Young Professional. On this page, we’re able to enter into our industry for job hunting suggestions and positions. I think this is definitely a good idea because some students just don’t know what keywords they should use when searching for jobs according to their major. In addition to online tools like the resume creator, Zoomdojo also offers different kinds of off-line events such as advisory and campus information sessions. Zoomdojo’s campus sessions are definitely eye-opening and worth attending. It’s not only promoting the company or the website but encouraging students and widening horizon. The team always invites experts from various cities to talk about their experiences and how to develop certain skills in different cities. The idea of Zoomdojo is to encourage people to search for opportunities outside their knowledge field. This idea also applies to the experts they invite. An expert talking about his success in film industry might originally graduate from an engineering major. For me, attending this kind of career session is even more meaningful than reading famous autobiographies because the writer is just standing there and is ready to answer any questions on his or her career development. As a young company, Zoomdojo has 10 engineers and data collectors to support the search engine and database. They also have a lot of partners who are responsible for social media and advisory sessions. In the near future, they are going to strengthen and grow the database and reach more colleges and expand to more countries. One of their former employees is M, who was one of their campus ambassadors. M was inspired by Carol and Ritu to think beyond her art history major and is a global risk analyst for a major financial institution. She says she would not have her current position without her internship at a major credit card company, a direct result of following the advice of the founders of Zoomdojo and an example of thinking creatively and being open to new options. This entry was posted in American Experience and tagged Indeed, Job Hunting, job search, job seeker, LinkedIn, resume, Zoomdojo. Bookmark the permalink.